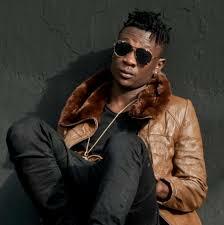 Kutama and Byenyenya singer, Fik Fameika has been signed to Muyenga-based record label, Swangz Avenue. This comes after Fik fell out with former manager Karma Ivie. Swangz Avenue is yet to confirm details, when asked on phone, Benon Mugumbya one of the directors said he will divulge details as soon as the deal is signed and sealed. If this is true, Fik will join Vinka, Winnie Nwagi, Zulanda, among other stars at the hit-making record label.